Tidy up your bike's rear end with this R&G Tail Tidy/Licence Plate Holder for the Suzuki GSF1250 Bandit (-'09), GSX1250FA, GSX650F '08- & GSF650 Bandit '07-'09. 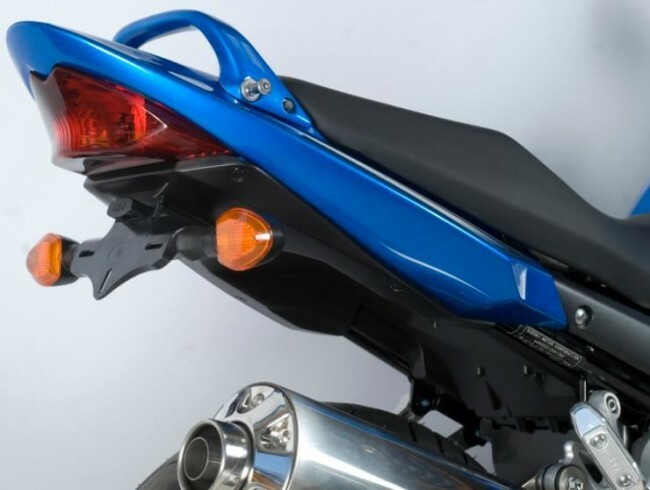 This tail tidy comes supplied with an replacement ABS injection moulded undertray and licence plate bracket transforming and smartening up the backend of the bike. This product is fully compatible with either the OEM indictators or our range of aftermarket indicators.